Leading NYC security systems integrator will be showcasing this new wearable solution that provides added convenience and flexibility for users at booth #239 at the Buildings NY show. New York, NY – May 10, 2016– Idesco Corp., a leading New York-based security systems integrator, is proud to announce that it now resells the Uband™, a wearable access control solution that combines all the benefits of a MIFARE or Proximity card with the convenience and flexibility of a silicone wristband. This new product provides the user a more efficient way to gain access into a facility or designated area. Securing any given property from unlawful intrusion or theft can be a daunting task. The difference between a proximity card and the new Uband™ product is that it remains attached to the person at all times; adding an extra layer of security. This new access control solution reduces the risk of theft which would result in an unqualified individual gaining access into a building or designated area. The Uband™ product comes in two different types of wristbands utilizing two different technologies, proximity and MIFARE. Both types of wristbands come in multiple sizes to accommodate various users. This new product will surely take the access control industry by storm with its wearability, durability, customizability and flexibility while keeping buildings secure by simplifying your access control system. The Uband™ decreases expenses from lost or damaged cards and increases brand recognition. This innovative contactless solution is perfect for colleges and universities, fitness centers, office buildings, hospitals, and recreation centers. Uband™ performs all the functions of a card while sitting conveniently on the wrist, resulting in a simpler and more efficient way at securing an organization. 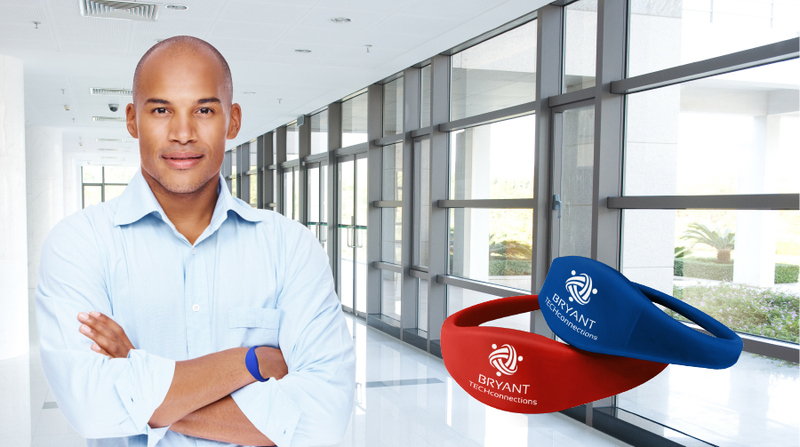 The Uband™MIFARE works a little differently, utilizing the MIFARE technology, this wristband can be used for access control, making payments and much more; the customer can include the features they want and leave out the ones they don’t while the Uband™Proximity is strictly for access control. The Uband™ Proximity wristband comes in black or blue colors while the Uband™ MIFARE comes in 20 different colors, and both can be fully customized with logos, graphics or text for any company or facility. Idesco will be exhibiting at BuildingsNY May 24th-25th showcasing the new Uband™ technology at booth #239. Idesco shows no signs of stopping its growth and will continue to lead the way in delivering the best integrated security solutions in the New York City area. About Idesco Corp. - Idesco has been leading the security industry for over 71 years and offers a full range of security products including, digital ID badging systems, access control, biometrics, turnstiles, visitor management, and digital video surveillance. Idesco started as a pioneer in ID Badging, and has evolved into a full-service security systems integrator that designs and manages high-scale system installations in major universities, television networks, and large municipalities.